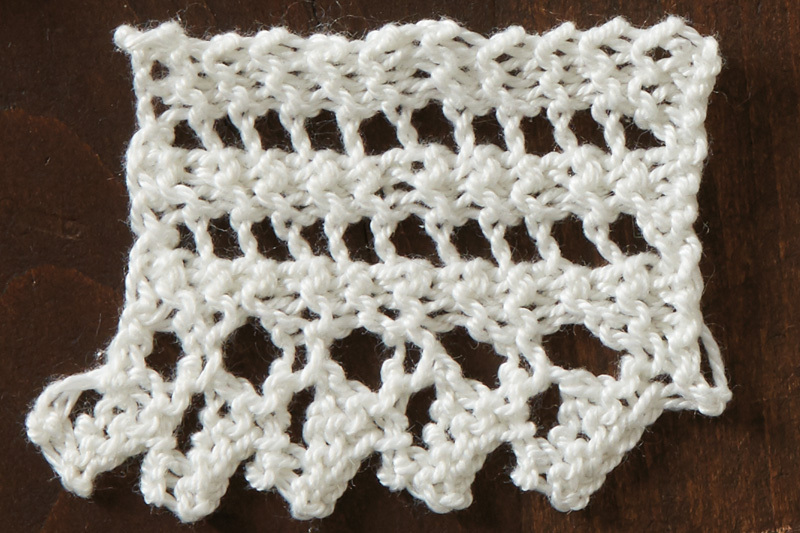 Frances translated the original pattern for the Lace No. 16 sample, wrote her instructions with contemporary notations, and retained the name that Mary Elizabeth used. Frances used Nazli Gelin Garden, 100% cotton thread, size 10, in #700-02 Cream (www.universalyarn.com) and size 1 (2.25 mm) needles to make the sample. Whether you knit one sample or all five, please share a photo of your sample with us at piecework@interweave.com. We’d love to see them! CO 11 sts. K across. Row 1: K3, [yo, sl 1, k1, psso, k1] 2 times, [yo twice, k1] 2 times—15 sts. Row 2: [K2, p1] 4 times, k3. Row 3: K3, yo, sl 1, k1, psso, k1, yo, sl 1, k1, psso, k7. Row 4: BO 4 sts, k4 (including st rem on right needle after BO), p1, k2, p1, k3—11 sts rem. 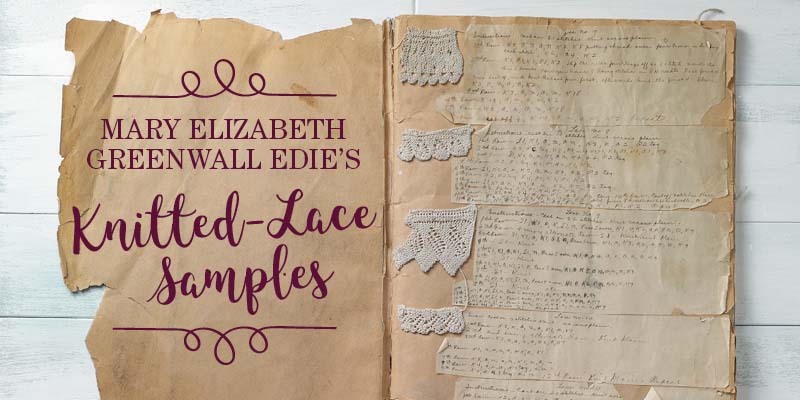 Discover more exquisite lace projects in PieceWork!